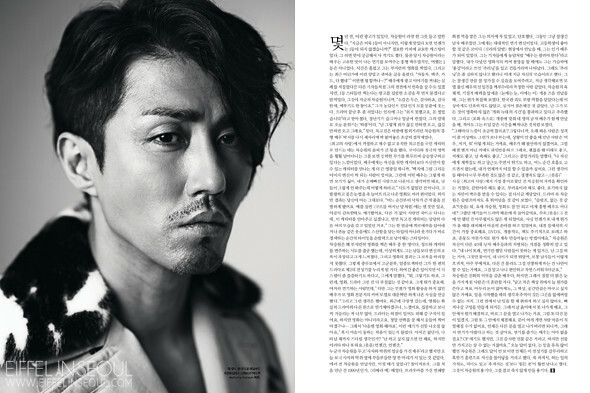 Cha Seung Won (차승원) along with Gong Hyo Jin (공효진), co-stars of 'Greatest Love (최고의 사랑)' were the cover models for Harper's Bazaar Korea's September 2011 issue. The magazine published individual editorials of their own photographed by Kim Young Jun. 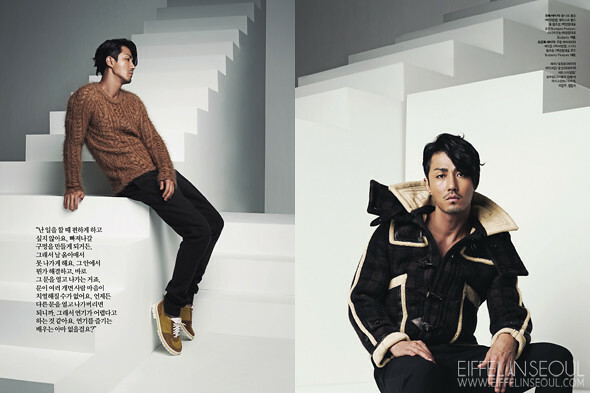 Check out the star looking dashing in Burberry Prorsum Fall/Winter 2011 menswear. Also, behind the scenes with Gong Hyo Jin (공효진). Check out her spread here.